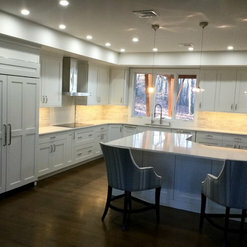 We have a variety of products that range from one piece bathroom vanities, through full upscale, custom kitchen remodels. 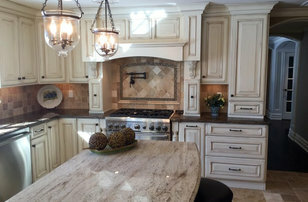 Special Additions has been specializing in quality kitchen and bathroom cabinetry since 1978. We pride ourselves on being a family owned and operated company, which features one of the largest showrooms in the tri-state area. Come visit us in our showroom at 3 Astro Place, Rockaway, NJ 07866! Dan was a real pleasure to work with. Our kitchen was completely gutted and walls removed. It was a bit overwhelming. Dan was a real help with great ideas and suggestions. Any questions or changes we had were addressed ASAP. 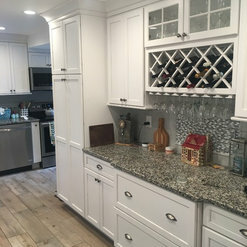 We are very happy with our cabinets and their quality. So glad we went with Special Additions and have recommended them (and Dan) to friends. Thank you Tony! You guys were a pleasure to work with! All the best with the new kitchen!! Dan at Special Additions is the best! 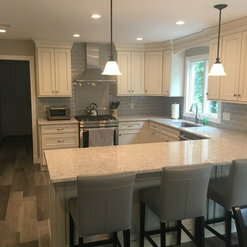 I've remodeled four kitchens at all different price points, from builder grade to high end. Dan listened to what I wanted and provided guidance and suggestions so in the end I got what I was looking for. The show room is great. The show room gives you the opportunity to see and get a feel for layouts. I would HIGHLY recommend Special Additions! Thanks Dorinda! You guys are the best! We appreciate all the business you have given us over the years! I looked a lot of places before hiring special additions. They are very professional and knowledgeable. I worked with Dan. I would definitely recommend. Dan and his staff were awesome. They were always on time and got it done. The pricing was very impressive. I love my cabinets and counters. I cannot recommend them highly enough. Tremendous positive experience. Thank you so much for the kind review! 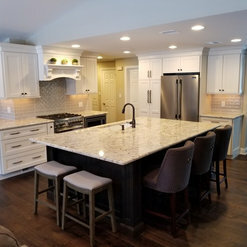 We are very happy to hear you love the cabinets! Special Additions helped us design our kitchen and bathrooms. They were knowledgeable, experienced and professional throughout the process. Dan was so easy to work with and always went above and beyond. Highly recommend them! Thank you Evelyn! You and Eddie were great to work with! All the best to you and the family! 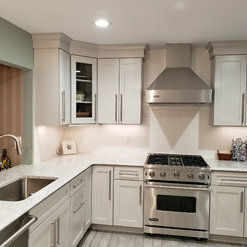 Dan at Special Additions was courteous, knowledgeable and a pleasure to work with.He worked within our budget and got us exactly what we wanted for our kitchen renovation, from the design and layout to delivery. He managed to give us quality and a fair price. The cabinets also came in earlier than expected! 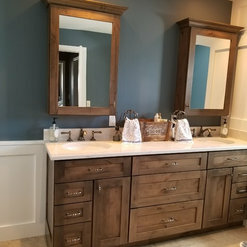 We loved our kitchen so much, we also ordered a vanity for our bathroom reno! Thank you Maria! The kind review is much appreciated! I hope you and the family are well. Enjoy the summer! 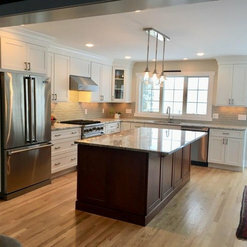 As a designer I am always happy to find professionals that work endlessly to make clients happy and work endlessly toward the most beautiful kitchens and bathrooms. It is a very positive experience for my clients to see their dreams become realities. Thank you Pam! We value your business and expertise and look forward to working with you for a long time to come! Special Additions did an amazing job with helping me to really see the full potential of my new kitchen. I had a rough Idea of what I wanted. 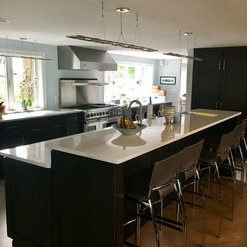 After consulting with Dan from special additions I knew he not only listened and understood what I wanted but he also incorporated a few new Ideas that I had not thought about that made my dream kitchen turn out even better then I had expected. 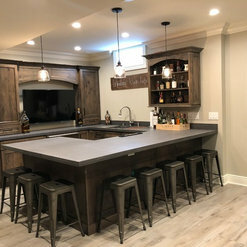 I recommended them to my friend who was remodeling her home and she was just as thrilled with the results from Special Additions as I was! Thank you for the positive review Sandy! You were a pleasure to work with and we wish you many years of continued enjoyment with the kitchen! 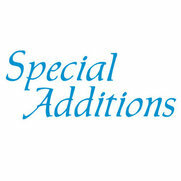 Special Additions has a great showroom with a team that was friendly and easy to work with. They had great ideas and suggestions to maximize my new kitchen. The delivery was on time and seamless! Thanks Melissa! We wish you all the best with the new kitchen! Thank you for the kind words! We greatly appreciate the positive review! Dan and his team were very helpful and patient with us throughout the entire process. 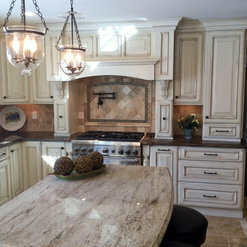 The work was completed on time, at the price quoted and has completely transformed our kitchen. Thanks Nick! It was a pleasure to help you out. Wishing you and the family all the best! Commented: cabinets and moldingHi Lynnet! Thank you for your question! The wall cabinetry is 48&quot; H. The riser board and crown take up 6&quot; total. The ceiling height is this kitchen is 9'. Hope this helps! Commented: countersHello! 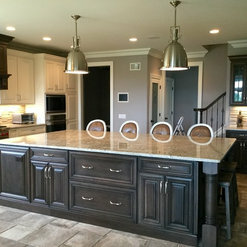 The counter tops are soap stone. Thank you! 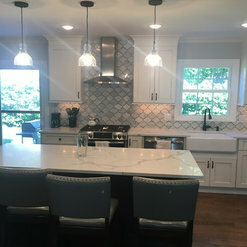 Commented: Could you please tell me the brand and color of the backsplash used?Hi Dana! Unfortunately, we do not provide tile. We will reach out to the customer to see if we can gather any additional information. Thanks for your question! Commented: what is cabinet stain? Knotty Alder?Hello, Yes, the wood specie is Knotty Alder and the stain is Praline with a Charcoal Glaze. Thanks for your question! Commented: Is the flooring real stone or a Luxury Vinyl Tile. It looks fantastic,Thank you very much! The flooring is ceramic tile!